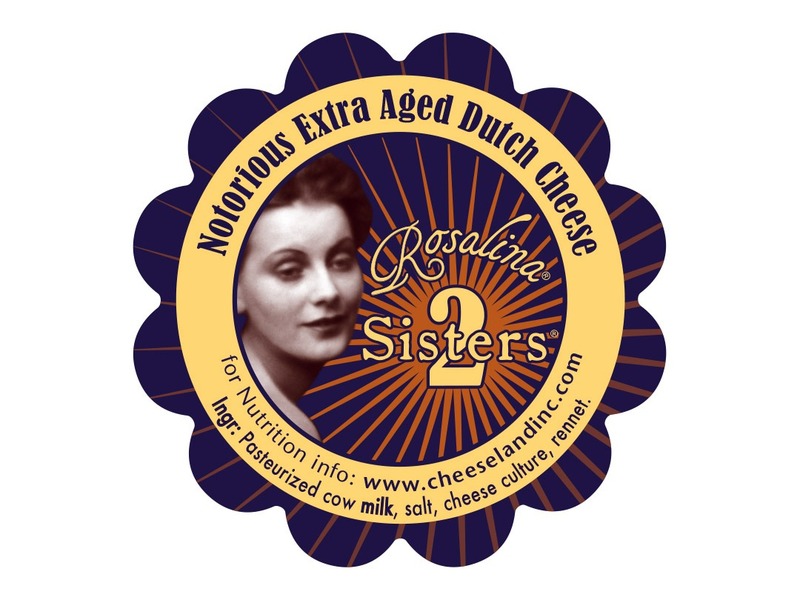 Cheeseland Inc. wanted a label for two different cheeses, one aged longer than the other, made from the same ingredients. 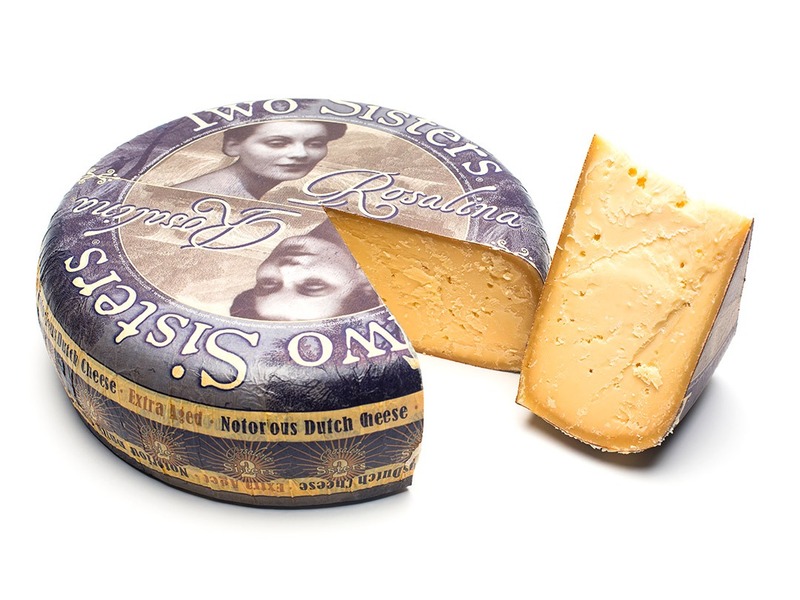 We chose the name Two Sisters® to represent both cheeses, then gave each cheese it’s own name. 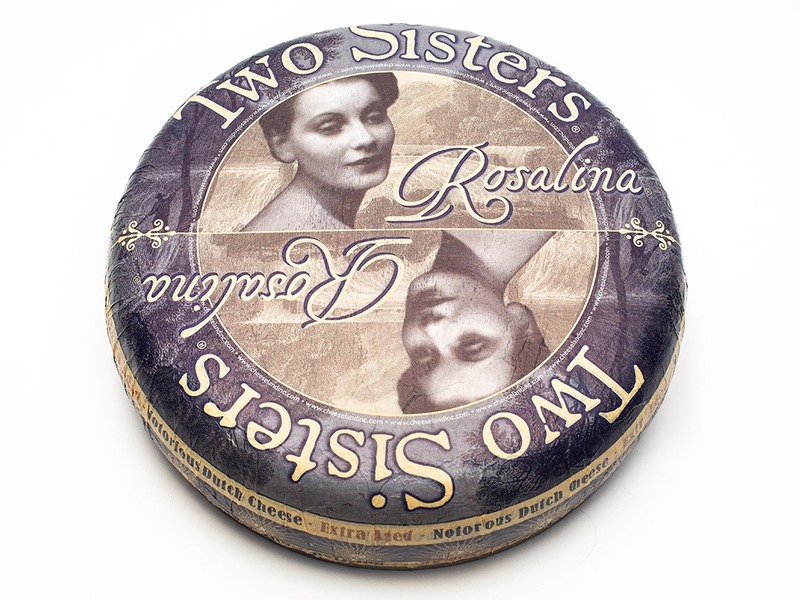 Rosalina® is the older of the two cheeses (aged longer). The woman on the label is Greta Garbo who played Mata Hari in the 1931 film about the infamous Dutch dancer and spy. An image of the true Mata Hari is in the Two Sisters® – Isabella®. 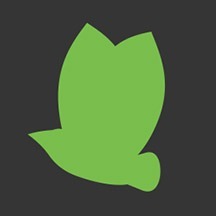 This cheese company imports high quality Gouda cheese from the Netherlands. They hired me to create packaging for their newest unique gouda creations. The large wheel label is printed on a tissue paper, in Holland. That paper is placed on the cheese surface instead of wax. The image above is of the smaller label placed on the pre-cut cheese, its color & design match the larger wheel label for product recognition.